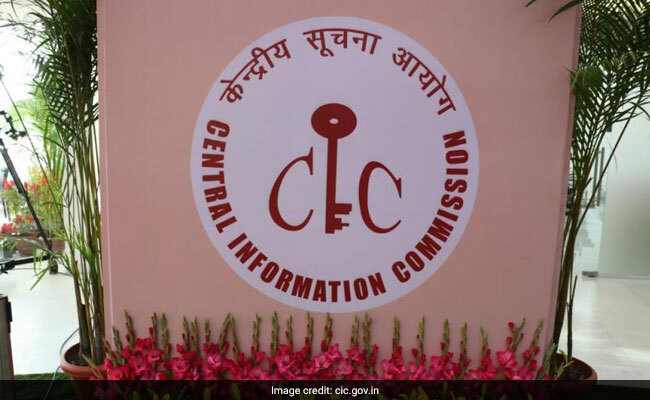 The case came before the Central Information Commission as two RTI applicants could not get information about the usage of Members of Parliament Local Area Development Scheme fund of their respective MP. The commission noticed that Ministry of Statistics and Programme does not have details of use of funds. The Central Information Commission (CIC) has asked the offices of the Lok Sabha Speaker and the Rajya Sabha Chairman to device "legal framework" to ensure transparency, accountability, liability of parliamentarians and other organisations in the utilisation of funds under the Members of Parliament Local Area Development Scheme (MPLADS). In an exhaustive order running into 54 pages, the commission dwelt upon various aspects of MPLADS under which each MP is given Rs 5 crore annually to be spent on projects of choice in his or her constituency. Taking note of a report by the Ministry of Statistics and Programme Implementation that Rs 12,000-crore fund of MPLADS remained unspent, Information Commissioner Sridhar Acharyulu recommended the offices of the Speaker and the Chairman to develop "legal frame" containing "specific duties and compulsory transparency obligations, definitions of breach of duties, prescribing rules and regulations, besides imposing liabilities for dereliction of those duties and breach of rules and regulations" related to funds. He said the framework may carry steps to curb issues such as assets claimed to have been created under MPLADS being untraceable, funds being used for private works of MP, ineligible agencies being recommended for work, diversion of funds to private trusts, and works recommended under MPLADS benefiting the MP or his relatives. Sridhar Acharyulu also recommended that the framework may also include obligation of every MP to furnish information every year on the number of applications received, works recommended, works rejected with reasons, progress of works, and details of beneficiaries. He also recommended that the framework may include that every MP will have to submit a comprehensive report on MPLADS works after completion of his/her term to the Chairman of Rajya Sabha or the Speaker of Lok Sabha. Sridhar Acharyulu said the report may include duty of an MP to inform the voters seeking such details under the Right to Information (RTI) Act and duty of parliamentary party to post the details on their pages in official websites and on web pages of the MP. He said the framework may have provisions for the secretarial staff of Parliament and the National Informatics Centre to aid and assist parliamentary parties in meeting these transparency obligation. "The commission recommends the Ministry of Parliamentary Affairs to render necessary assistance to Chairman of Rajya Sabha and Speaker of Lok Sabha to develop legal frame for MPLADS as mentioned above and to make all parliamentary parties and MPs answerable and accountable for MPLADS funds as public authorities under the RTI Act to prevent MPLADS irregularities," he said. The Ministry of Statistics and Programme Implementation told the applicants that it did not have mechanism of maintaining the constituency-wise and work-wise details and that these details can be accessed only from the district administration concerned. When the matter came up for hearing before the CIC, the ministry claimed that choosing a particular work was totally in the discretion of the MP concerned and that no authority could intervene, Sridhar Acharyulu noted. "The officers or District Magistrates/Collectors of concerned districts wherein the MPLADS-related activity was taken up can provide statistical data as available with them," he noted, citing the ministry's submissions. The commission noticed that the Ministry of Statistics and Programme Implementation does not have any information about the actual status of this work though it releases the funds, he pointed out. He directed the ministry to make necessary changes to publish MP-wise, constituency-wise and work-wise details, with names of beneficiaries, and reasons for delay, if any, after duly procuring from the sources holding such information including the district administration concerned to ensure its voluntary disclosure under Section 4 of the RTI Act. Noting that the CIC does not have jurisdiction over district administration which are under state governments but because the information under demand was concerning the progress of MPLADS, the panel has jurisdiction to that extent to seek from the authority which is holding it, he said. Exercising that power, the commission requires the district administration to furnish information about work-wise, MP-wise, year-wise progress of works regularly on its website or other means convenient to the ministry, MP concerned, parliamentary party, and the office of Parliament, he said.